There has been some public concern expressed over the Wall Fire. 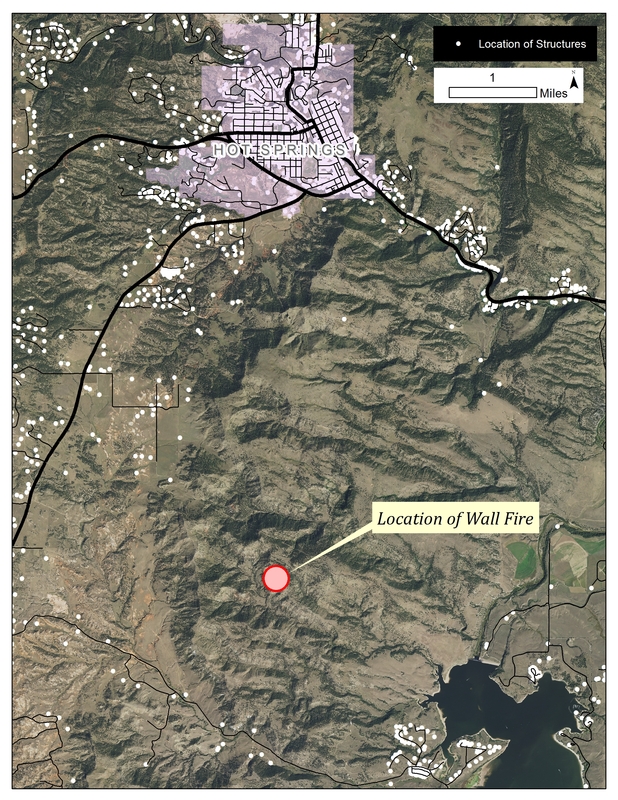 Below is a map showing the location and approximate size of the fire. This fire is a good distance from any structures. All Pre-evacuations have been lifted! The Red Cross Shelter has suspended operations unless further need arises. There will be a new fire containment report issued shortly. Fire crews are still working in the area. Please help them out by avoiding unnecessary travel on Fall River Rd. The Incident Commander for the Vineyard Fire has lifted all the mandatory evacuations. People may return to their homes, however, erratic fire behavior means that you may be asked to evacuate again. If you decide to return home we would ask that you remain vigilant of the fire around you, stay out of the way of firefighters, and keep your bags packed so that you are ready to leave. The Red Cross Shelter at the Mueller Civic Center will remain open for anyone choosing to remain evacuated.